M.E.C. offers a superior line of well-matched, broadband, 4-port hybrid magic tees (100 Series) and 3-port tees (100-E and 100-H Series). 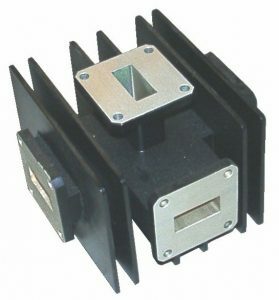 These units can also be supplied with an integral medium power termination on the E arm (100-L Series). 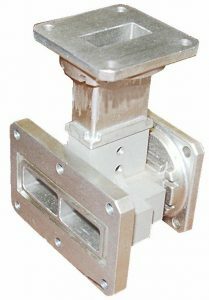 The 3-port tees may be used in power dividing networks or as combiners of high power tube outputs. The magic tee hybrid offers high isolation. Common applications of the magic tee hybrid include balanced mixer operations and connecting a transmitter and receiver to a pair of fore and aft antennas on an aircraft. All units are aluminum with chromate conversion finish. Paint is gray epoxy enamel. (1) For reduced VSWR over narrow band, add suffix “N” (i.e. S100-N) and specify band and VSWR desired. 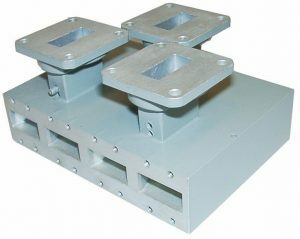 (2) Other flanges, materials, and tees such as folded, reduced height, and unequal split available upon request. 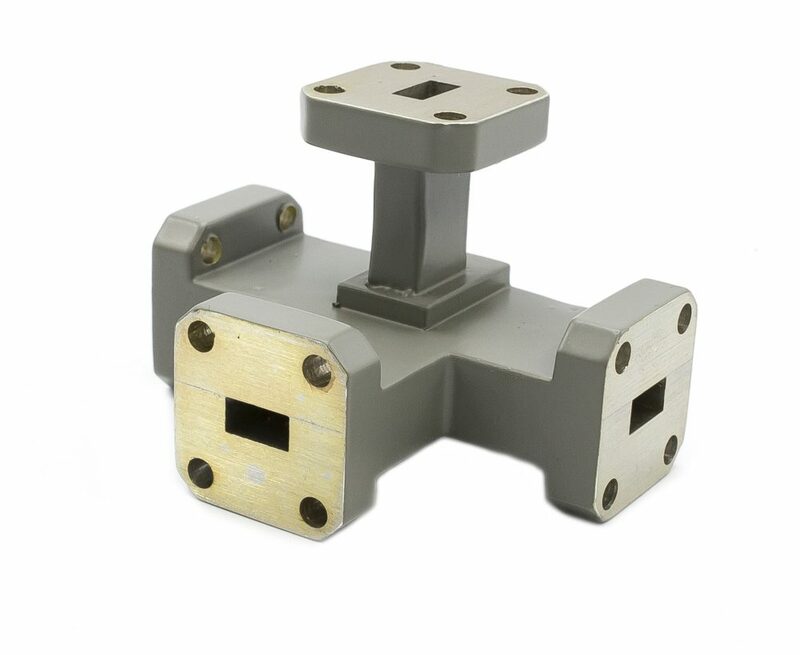 (3) Other waveguide bands and sizes are also available upon request. All customer designs are welcome.